Los Lobos – But Is It Any Good? WHAT’S IT ALL ABOUT: A let down after their brilliant 1984 album, but there are some decent tracks here. 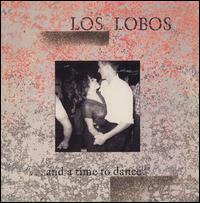 SOME WORDS, PHRASES AND CLAUSES ABOUT THIS RECORD: It took a while for Los Lobos to release their second album. “One Time One Night” was under the opening credits for Colors, but the rest of the album didn’t come out until 1987. They struggled with material, seemingly. It was an attempt to try to replicate the success, but the songs weren’t as vital or fresh as their previous set. A couple tracks (“Set Me Free (Rosa Lee”) and “One Time One Night” are stellar, and it’s not like the other tracks are bad. But it is kind of disappointing compared to their first full-length. NOTES & MINUTIAE: Their first two full length albums hit the same number on the Billboard charts. GRADE: B: It’s OK, but not one of their best efforts..
WHAT’S IT ALL ABOUT: Debut long-player showcases the versatility and chops of the East LA band. SOME WORDS, PHRASES AND CLAUSES ABOUT THIS RECORD: A first-time listener to this entire album, thinking of just the radio cuts, would definitely be surprised by the breadth and depth of this album. They know how to play rock, sure, and they can sling guitars. They also can play plaintive ballads. But they’re adept at a more blues based style, and most importantly, native Norteno that to the untrained ear sound like polkas. The accordion is just as important of an instrument to them as guitar. Vocally, David Hidalgo and Cesar Rosas are adept at all of the material, and their guitar playing and Higalgo’s mandolin are excellent. It’s a revelatory record and opened a lot of ears toward Mexican music. NOTES & MINUTIAE: Drummer Louie Perez co-wrote seven of these tracks, collaborating with both Hidalgo and Rosas. GRADE: A: Fantastic album that should open one’s ears at the versatility of the band. OTHER SONGS YOU MAY KNOW: Come On Let’s Go is on this EP. WHAT’S IT ALL ABOUT: An EP snapshot of the East LA Mexican-rock fusion band. SOME WORDS, PHRASES AND CLAUSES ABOUT THIS RECORD: Call this a teaser for their career. This has a great cover, traditional songs, and blues rock influenced originals, plus a Ritchie Valens cover of “Come On, Let’s Go”. It’s only seven songs, but it’s a great seven songs and well worth having in your collection, especially if you like Los Lobos diversity. The next year they’d release their first full-length rock / Mexican fusion album. NOTES & MINUTIAE: They had two albums out there before. One was a charity release for the United Farm Workers featuring them recording with friends. The other isn’t streaming; it’s a 1978 recording of traditional songs. GRADE: A–: Every kind of everything from Los Lobos is here. It’s a Los Lobos platter platter!